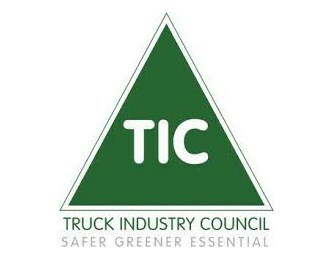 The Truck Industry Council (TIC) is singing truck sales praises as it sees two records broken. The industry body highlights the total number of commercial vehicles was 3,879 units, surpassing the previous best June mark set jointly in 2007 and 2009 of 3,718 units. June 2007 was pre-Global Financial Crisis (GFC) when both the economy and truck sales were booming, "while the 2009 result was artificially affected by then federal government GFC incentives that saw a spike in sales for the month of June, in a year that was otherwise quite forgettable for new truck sales", TIC notes. The second record that was broken in June just passed was that of new light duty truck deliveries, with 1,233 sold, breaking the pre-GFC record of 1,170 set 12 years ago in June 2005. "It is encouraging to finally see a couple of long standing truck sales records being broken in the month of June," TIC CEO Tony McMullan says. "Although the Heavy Duty segment has not broken any existing sales marks, the segment is posting very good sales month-on-month in 2017 and is performing better than expected at the half way point of the year. "This first half year result paves the way for a solid start to quarter three and whole of year." June saw light duty vans perform well with 653 sales for the month, up 10.7 per cent, or 63 units, over June 2016. LD vans posted a total of 1,559 sales for the months of April to June, up 76 vans over the same quarter in 2016, where 1,483 vans were sold. At the half way point of the year, the Van tally stands at 2,888 units, up on 2016 sales by 3 per cent, or 85 vans. "The solid second quarter result builds on the encouraging sales seen in the first part of 2017," TIC president Phil Taylor says. "We have seen a new bench mark set for June sales overall and in the light duty truck segment. "Year-to-date we are not back to pre-GFC sales yet, however new truck sales are the best we have seen for nine or more years and that is very pleasing. "It has been a long road to recovery and I hope that we see current sales trends continue for the remainder of 2017 and into 2018."